Enjoy all 139 episodes including the first season in black & white on this collection that re-introduces Larry Hagman as Captain Anthony "Tony" Nelson, an astronaut who finds himself "Master" to a beautiful and crafty genie (Eden) whom he unknowinglyases from a bottle. Together, he and Jeannie are a magical match. 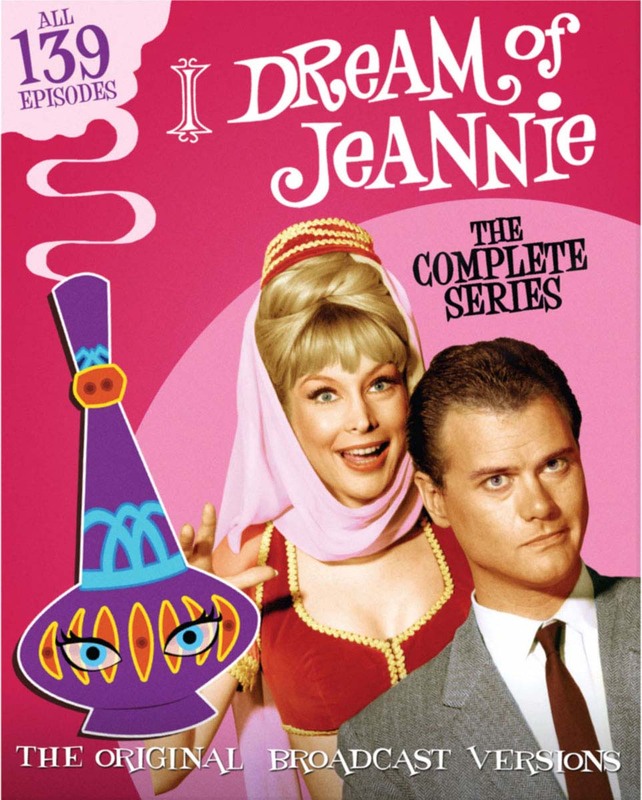 Packed with some of television's brightest guest stars, I Dream Of Jeannie is the beloved must-own comedy series that will have you dreaming of TV's Golden Age.